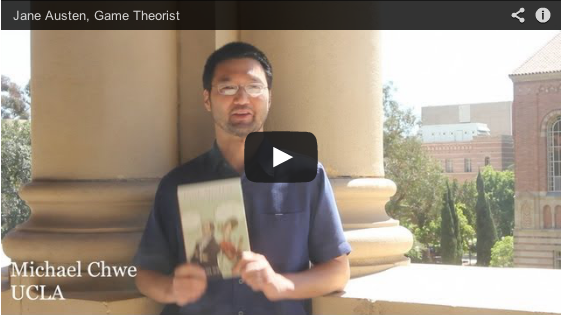 (pdf files of all the papers referenced) Game theory—the study of how people make choices while interacting with others—is one of the most popular technical approaches in social science today. 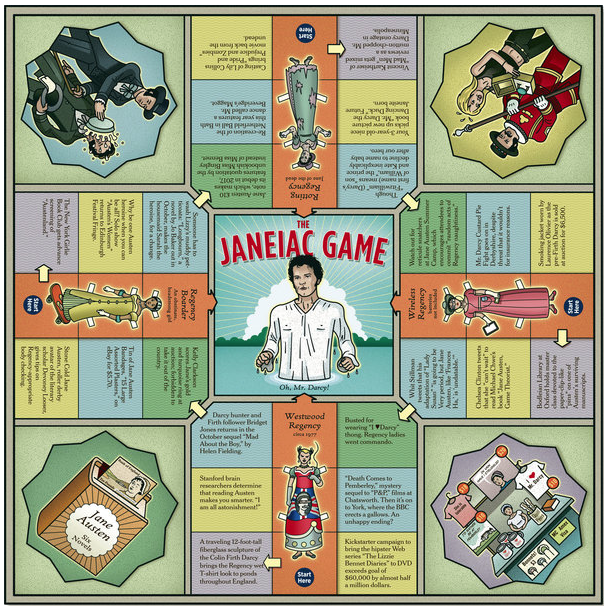 But as Michael Chwe reveals in Jane Austen, Game Theorist, Jane Austen explored game theory’s core ideas in her six novels roughly two hundred years ago. 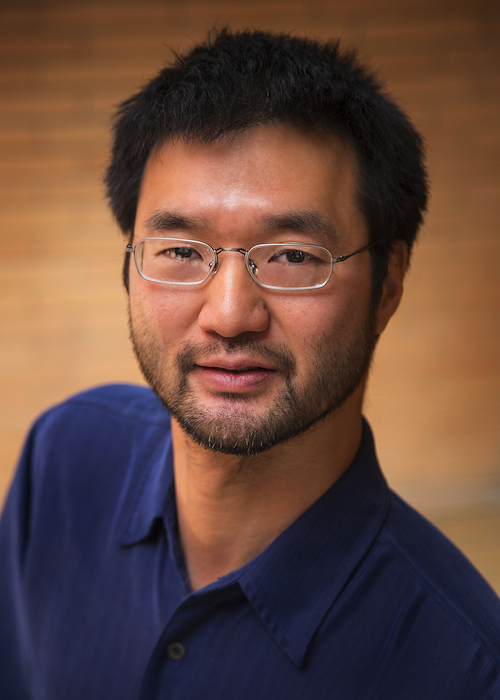 Chwe finds that game theory has early and subversive historical roots in Austen’s novels and in “folk game theory” traditions, including African American folktales. 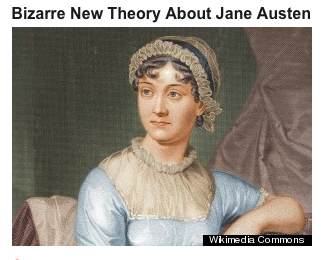 He considers how Austen analyzed “cluelessness”—the conspicuous absence of strategic thinking—and how her observations apply to U.S. military blunders in Iraq and Vietnam. 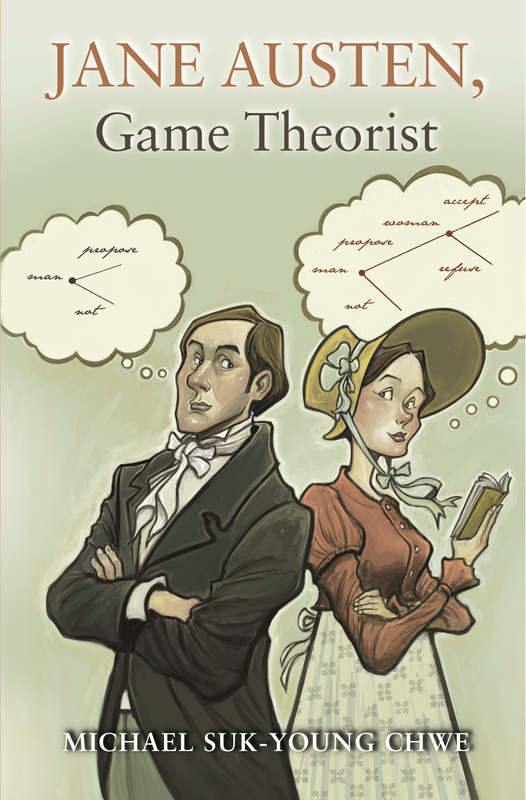 Jane Austen, Game Theorist brings together the study of literature and social science in an original and surprising way. With a diverse range of literature and folktales, this book illustrates how, fundamentally, we are all strategic thinkers.